Carbon monoxide (CO) and carbon dioxide (CO2) often get confused with one another because of their similarities. Not only do that have similar names and chemical symbols, but they also have similar physical characteristics like both being odorless gasses. Generally, mixing these up isn’t much of a problem, but when it comes to your actual sensors, it is very important. Since they are both completely different chemicals, one sensor might detect carbon monoxide, but not detect carbon dioxide. So if you only have a CO sensor in your house and you are at risk for CO2, but you think you’re safe, then you might be in some trouble. Both of these chemicals are invisible, odorless and deadly. Usually they are only found in trace amounts and won’t cause any harm, but these gases can build up if the conditions are right. Some examples when these gasses can cause problems are when there’s some kind of gas leak or any unnatural formation of the gas that comes from the surface of the earth. CO is a common gas found in trace amounts in our atmosphere. It is also a bi-product of the partial oxidation of methane during combustion. A good rule of thumb is, if something is burning, you’re likely creating carbon monoxide. It can also leak from appliances in your house or if your catalytic converter on your car is not working properly and many other ways. It’s fairly important to have at least one carbon monoxide sensor in your home. 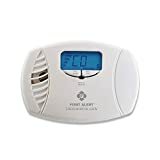 If you don’t already have a carbon monoxide detector in your home, you should consider installing one as soon as possible. They are not expensive and are very easy to install. 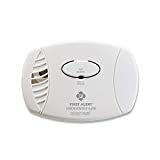 If you don’t believe that you need one in your home, a little digging online will reveal plenty of horror stories of people who encountered CO poisoning without knowing they were at risk at all. If you have CO detectors already make sure that you are replacing the batteries at least once every five years. 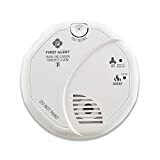 Make sure you have a detector within hearing of any area you might be sleeping. You might also consider getting a sensor that has a digital readout that will continuously tell you the CO levels or have your sensors connected to a smart home hub that will warn you throughout the house. Make sure to check on your heating system, water heaters, and any other gas, oil, or coal burning appliances you might have in your home. If you suspect any of these types of appliances of having a malfunction or leaking, have a professional come and take a look. If you’re running your house on a generator, make sure that your CO detectors are running on a battery backup. Power outages can be a likely time for a gas leak or buildup to occur. Don’t burn any charcoal inside a closed environment, especially inside the house. Anytime you burn charcoal make sure there is a constant air flow. Whenever you do repairs on any ventilation shaft make sure that you use the proper materials and tools. Patching a ventilation pipe with duct tape can cause leaks. Chemical heaters can emit carbon monoxide even if they don’t have a flame. It’s generally good practice to never use them indoors. If you have a camping stove that uses gas, avoid using it anywhere indoors. Never use your gas stove or oven to heat up your house. Make sure you don’t have any built up debris blocking your chimney. It’s generally good practice to clean it once a year. If you smell any odor coming from gas equipment inside your home have an expert service it. Don’t use a gas powered generator inside your home. It’s generally best practice to have it running at least 20 feet away from an open window or door. Carbon dioxide is also naturally occurring and common in our atmosphere. CO2 is the gas plants need to survive and is a bi-product of animal respiration, fermentation, combustion and other chemical reactions. It is also the gas that gas powered vehicles emit that do have a catalytic converter. CO2 is also a common gas pressurized inside cans. Most businesses in the food or drink industry will have pressurized tanks of CO2 lying around and since the gas is odorless, they will usually have a CO2 sensor that is separate from their carbon monoxide sensor. Since carbon dioxide slightly denser than air (as opposed to carbon monoxide which is slightly lighter) is, if it leaks in large quantities either naturally or unnaturally, it can cause a cloud of it to linger at surface level. There are times when natural events can cause huge clouds of CO2 to emit into the atmosphere all at once which can be extremely dangerous. A good example of this is the Lake Nyos disaster. Scientists are unsure what exactly caused the gas to leak out of the earth’s surface, but it is believed that about 1.2 kilometers of gas was released all at once. The cloud traveled roughly 15 miles per hour, descending onto nearby villages and killed 1,746 people. Carbon dioxide has a chemical reaction with saliva that causes an acidic taste in your mouth. So in addition to it being pretty rare, it is also fairly recognizable. If you think there is a chance you are experiencing carbon dioxide poisoning, make sure to leave the area as fast as possible. If you are near a rupture or earthquake, you might want to evacuate to a more elevated location. Carbon dioxide is pretty rare, but it wouldn’t hurt to have a sensor in your home. Carbon monoxide is a lot more common and it’s ideal to have several sensors throughout your home, as it can happen to pretty much anyone. If you’re worried about CO poisoning, consider getting professionally monitored by a security company that ties your sensors in with your security system. If you are interested in having your sensors monitored by a professional, get a free quote with Protect America today.